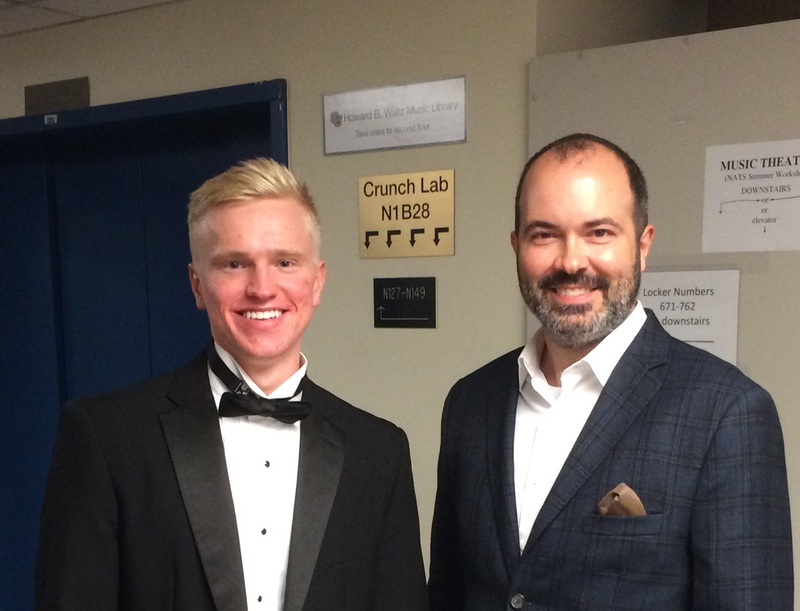 Four Belmont students recently competed in the National Association of Teachers of Singing (NATS) semifinals, the most students Belmont has ever had to make it to this level of NATS competition and one student, Alex Wunder, won first place in his division, underclassmen men. In addition to Wunder, Belmont’s participants included Nick Branson, Melissa Starkweather and Jeff Tarver. To reach the semifinals, these students participated in the organization’s regional auditions which were hosted on Belmont’s campus in the spring. Each region’s top five finalists then send performance videos to NATS for national semifinals consideration. Videos are then evaluated by voice teachers across the country, and only the top 15 are invited to the semifinals. At the event, singers perform a variety of repertoire pieces consisting of operatic arias, art songs or oratorio arias. After performing in the semifinals, Wunder was selected to competed in the finals and won first place in his division. This is the first time in four years that Belmont has had a first place winner.